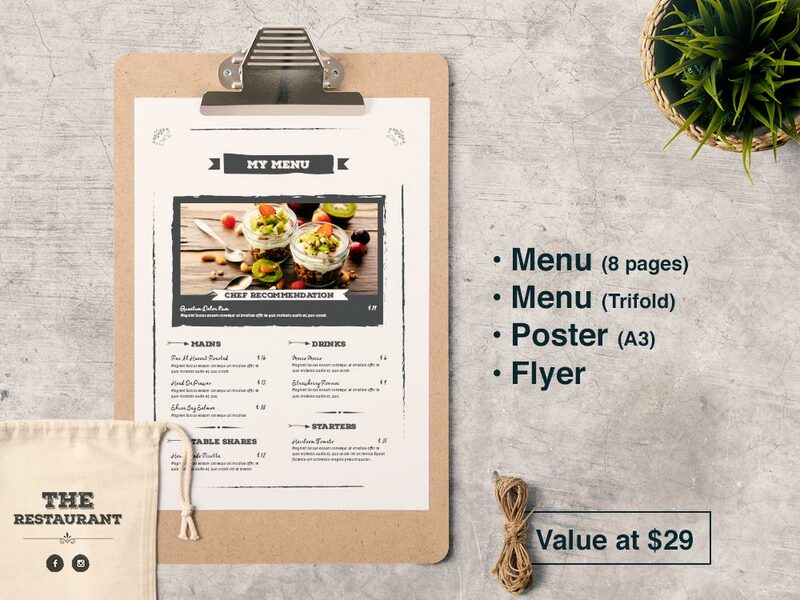 Download Bundle 2: Restaurant Food Menu and edit in a simple way. This Bundle will help you to design a modern and product for your clients. This templates offers to you a modern and easy way to edit your own design. Since the templates has been designed in format, you will be able to send it directly to pre-production.